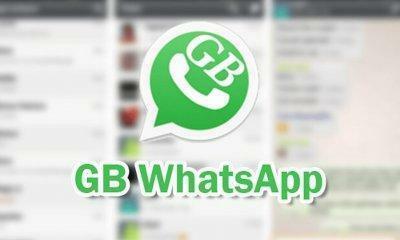 GBWhatsApp is one of the most fully featured modded WhatsApp till now and it’s been so popular is because it has enormous community support and the errors are always fixed, and new features keep getting added after every couple of months, which is why you first look at GBWhatsApp Plus when it comes it modded WhatsApp variants. Now the developers of GbWhatsApp has rolled out a new version of the modded app, which gets the latest WhatsApp’s base version as 2.18.203 means you are running on the latest version of original WhatsApp underneath. Along with that, you can now also share and send themes which is earlier not working as intended and is a handy feature if your friends want to rock a similar theme to yours. You also get to see which messages are deleted at any point in time, and in-built web search option is also another handy addition. Moreover, other fixes involve header vibration for chats, new languages support such as Italian and Portuguese is now added, backup and restore functions are now revised and works seamlessly. Media visibility is now enabled, revoked notifications are now showing in all devices which were an issue in the previous version. The Download link for the latest version of GBWhatsApp can be found below and use the file explorer to install the downloaded APK, also make sure before installing you enable the unknown sources option from the Setting > Security menu. If you want to learn and get more similar modded apps and where to get them, then have a look at the TutuApp marketplace which hosts such modded apps variants of all favorite apps like Instagram, Snapchat and more.